And another thing....scented candles ruin the dining experience. They change the way everything tastes and should be avoided at all costs. Sorry but that's just the simple truth. We depend on the power companies to give us light when it's dark. 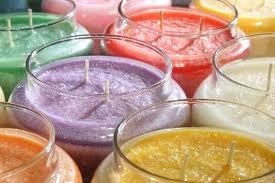 There will come a day when the candle will become the gift of light as well and smell good too.